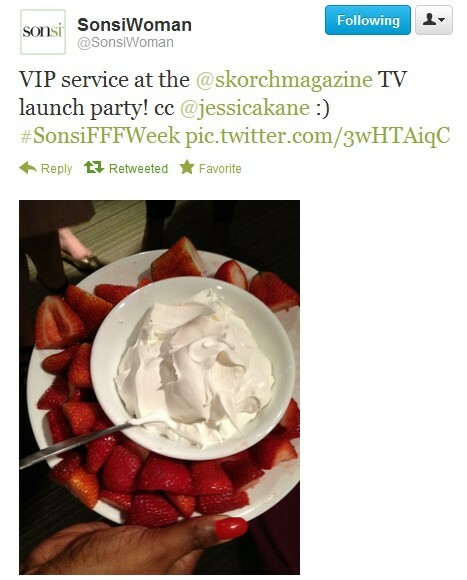 Well not that I didn't have enough going on while in NYC...my amazing team decided to throw a launch party for Skorch TV! Skorch TV is the brainchild of Jovanna Reyes, former Creative Director and now President of Skorch TV, and I can't even say how proud I am of the team she has built and the FANTASTIC content she is creating and curating. This woman's vision is brilliant and I'm honored to be a part of the journey. So, Jovanna got the top floor penthouse suite at the Affinia Manhattan to throw a bash to celebrate with the friends who have supported SKORCH along the way and including new friends! Skorch TV is proud to bring original programming for plus fashionistas to the Skorch Youtube web channel including "Real Talk with Shanda!" Shanda is best known for the series Man and Wife TV, which debuted on MTV in 2008 (manandwife.tv) as well as Shanda Says!, (www.youtube.com/shandasays) a vlog series and advice column which she's now bringing to Skorch! The channel will launch in July, so until then here are some snaps from the media party! The professional pics will come out soon :). The cast of Skorch TV! From left : Dezzie, PassionJonesz, Shanda Freeman, Rosie Mercado, Me, Nicole Zepeda, Lola Darling. Team from Sydney's Closet came to celebrate! Thank you!! Skorch for lifer (LOL) Marcy Guevara, now host of Marie Claire's Big Girl in a Skinny World on the Hello Style Youtube Channel! With Jovanna Reyes, President of Skorch TV - and a girl that NEVER let's me take a photo of her...so this is a rare and special occasion :). With Shanda and her beautiful daughter! 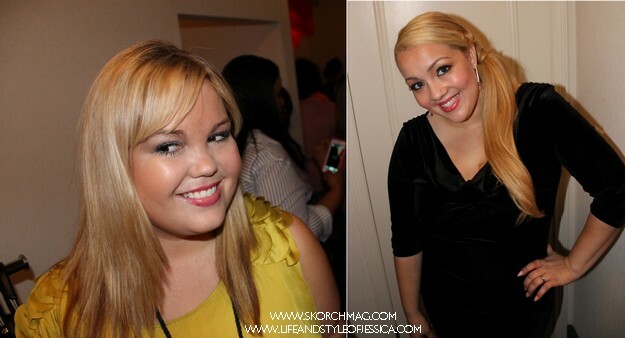 Skorch TV Host Nicole Zepeda (R) and Skorch Blogger Caitlin of Closet Confessions out of Australia! (L) Oliva, Skorch Blogger from Wait Until the Sunset out of Australia! 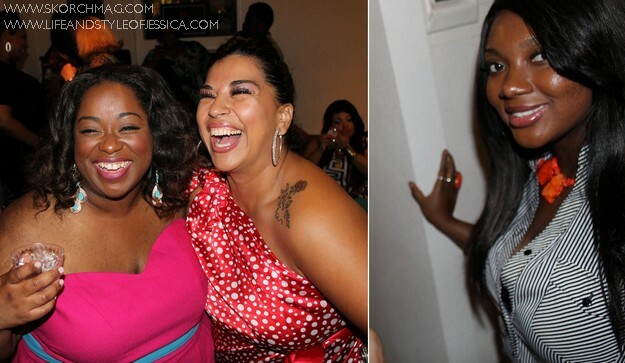 And the ladies of CurvyQT! Last but NOT least! Thank you to Torrid for showing their support for Skorch TV and dressing me for the night! HUGE thank you to everyone else who came, lucky enough to escape the camera!! Huge thanks to the Skorch TV Presenting sponsors! NOW LIKE SKORCH TV TO STAY IN THE LOOP!